Angela Sorby’s piece in the current Chronicle of Higher Education, “Snapshots of a Semester in China” is an interesting read – “I decide to teach my students Allen Ginsberg’s famous countercultural poem, “Howl”, Sorby writes. “Before I came to China, I thought there might be restrictions on what I could teach or say, but I’ve learned that the authorities are more sophisticated than that. As a Fulbrighter, as long as I don’t try to actually organize anything I can say whatever I want”.”I worry, though, that the poem’s explicit homosexual images might alienate my students. In China, homosexuality is still barely discussed and only very recently decriminalized. So I craftily tell students: “back when “Howl” was published, many people in the United States were ignorant about homosexuality. They even thought it was a choice or a psychiatric condition! Isn’t that outrageous! My students shake their heads, assuming an air of cosmopolitan outrage, and I feel a twinge of triumph..” For more of Sorby’s article, go here. Allen’s upcoming birthday gets ever-closer. Two on-going registers of it that we’ve mentioned before, Claire Askew’s Edinburgh bash and CA Conrad’s special Jupiter 88 Allen Ginsberg Edition (a video contribution to New York City’s “Howl Festival”), continue to develop. The latter has now followed the original Mark Nowak posting with videos by Fred Moten, Guillermo Parra, Nicole Steinberg, Michael Hennessey, Paul E Nelson, and Greg Bem (all fervently, and gratefully, singing the praises of Allen). Would you like a one-time visit to Allen’s old 13th Street East Village loft? (the one that he bought following the sale of his papers and archives to Stanford, and the one that he was, tragically, scarce able to inhabit (he died less than a month after moving in). 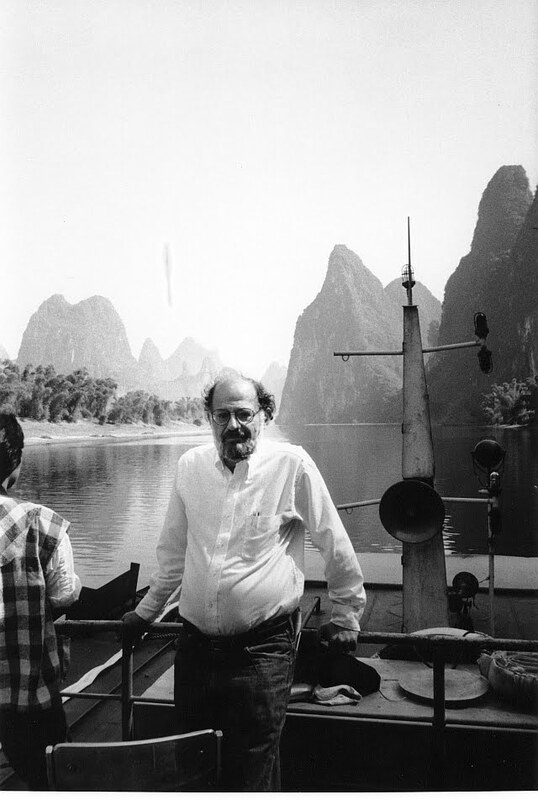 The Allen Ginsberg Estate and The Adaptations Project are co-hosting a special “Benefit Reception and Launch Party“, a one-time-only event, this upcoming May 20, for Donnie Mather‘s “Kaddish: The Key In The Window – Based on the poem by Allen Ginsberg” – tickets are $50 and $100. “This premiere marks the 50th Anniversary of the poem’s publication and the Inaugural Production of The Adaptations Project”. The evening will feature a special “sneak preview” of the production that will debut in Manhattan in the Fall. Beat Encounters – if you’re not making use of our “Comments” feature (and, come to think of it, why aren’t you making use of our “Comments” feature? ), you might well have missed this –Jack Miller’s memories of his encounter (encounters, actually) with Allen, including (just back from India, “new Shiva trident in hand and freshly shorn of his beard”) a visit to New Orleans in October 1971. Thanks, once again, Jack, for sharing.